Miriam Haskell Champagne glass dimpled pearls very, very old from Japan are joined with vintage rhinestone rondelles. Vintage Rhinestone silver metal ear circle drops…gorgeous! Those earrings are one of a kind. Hangs almost 3 inches below the ear wires. note: for ears accustomed to a bit heavier than average weight earrings. 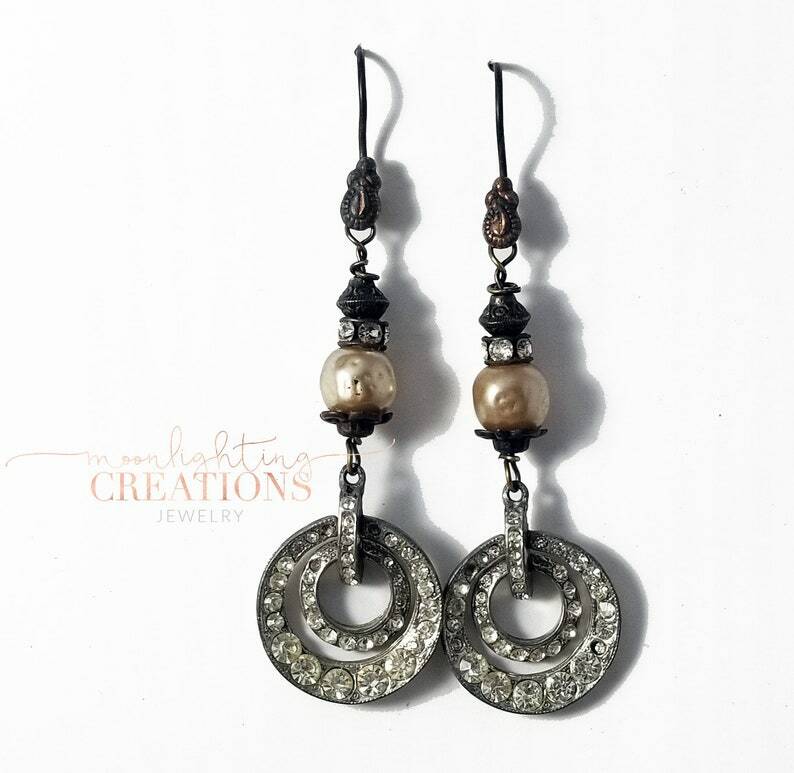 These earrings are repurposed, they will show some signs of wear and tear. A couple of the rhinestones are missing. But this adds to the character of the piece.